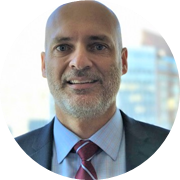 Dr. George Moschoglou currently serves as Associate Professor of the Practice and Faculty Director in the Project, Program and Portfolio Management programs at Georgetown University. His specialty areas include PPM, engineering management, and data analytics. Dr. Moschoglou has over 20 years’ experience leading large-scale technology programs and implementing change for a broad range of organizations. His previous professional experience includes various managerial and consulting engagements across multiple functional areas and products; from process improvements and program management in organizations such as NASA, Ericsson, Freddie Mac, Capital One and the World Bank to command and control systems engineering overseas. He holds a Ph.D. in Systems Engineering from the George Washington University. Check out the incredible speaker line-up to see who will be joining Georgios.